Have you ever tried explaining EVE to someone that doesn’t play the game? Takes a while doesn’t it? And you always wind up talking for half an hour and they still don’t get it. I mean; you’ve told them that when you die, you lose your ship and you have to pay full price for a new one, so there’s real loss… and what you do today matters tomorrow. You’ve even told them that your carrier is about 1 PLEX, that is about £15 or something, and there are ships that cost 100 plex to buy. At this point, they probably still don’t understand EVE. EVE is a huge game, and when you put different components of it under the microscope, you find a whole lot more stuff you need to talk about. Capital balancing in EVE is a massive task. We’ll have five classes of ship (carrier, supercarrier, titan, dreadnought and force auxiliary) each with a different role, and 21 ships in total. In the near future, the way in which each of those 21 ships interacts with EVE will be changing substantially. The role of the focus group is simple, though the task with which it is charged is incredibly complex. The goal of this series is to cut down the bloat from the Slack logs, and to discuss theorycrafting and rationale as we proceed through the process. I’m not going to go numbers-heavy; numbers will be the result of what i’ve discussed here, and you can find those on the capital focus group subreddit. 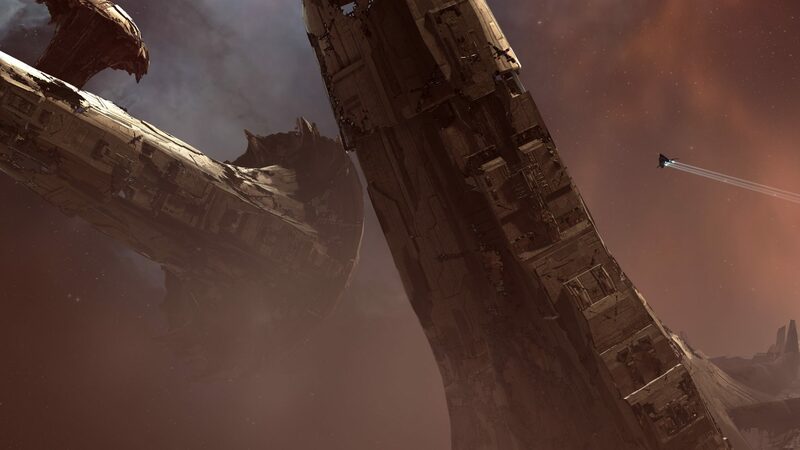 If you have feedback, I don’t speak for the rest of the focus group, but you can grab me on #tweetfleet Slack, mail me (or convo me) ingame, or PM me on reddit (Rocket_X). So, capital armor plates and shield extenders will come into the game with the Citadel expansion. The task was put to the focus group to re-balance capital base hit points, keeping them still obviously ‘capital’ whilst also providing significant incentive to use the new HP buffer modules. For our baseline, we looked initially at sub-capitals. We all hate fighting Tengus right? They’re super tanky and really annoying to shoot. Unless that one guy is ‘a dumb’ and brings his PVE Tengu to the fleet, complete with his Pithum A-type Medium Shield Booster. That guy’s dead in a volley. It’s generally accepted that if you’re in a reasonably-sized fleet, you need to have some form of buffer so that logistics (triage or otherwise) can land repairs on you before you explode. With new fitting options for capitals, there’s no reason they shouldn’t have to make the same choice. If you bring your dual rep, triple drone damage amp Thanatos to a 50-man fleet fight,, you’re going to be very dead, very quickly. Fit plates, however, and you should be alright, provided there are enough Force Auxiliaries (FAX) to save you. Naturally, one of the things we’ve had to do to make this a feasible proposal, is to reduce base HP on capitals significantly – otherwise, nobody is going to fit plates, even if they gave you higher overall EHP. This is because by using some of your mid/low slots to fit new buffer modules, you’re dropping modules that improve your tanks’ resistances to damage. If your resistances are lower, you take more actual damage, which is therefore harder to repair. So, if fitting a plate drops your Explosive armor resistance from 90%, to 80% – a 10% drop in resistances is going to mean you take twice the explosive damage during a fight. In reality the numbers we’ve proposed only increase damage taken by around 30%. This isn’t really a huge problem, because it can be balanced out by either modifying RR from FAX, or reducing general capital DPS at a later stage of discussion. Of course, when modifying the effects of FAX remote assistance abilities, we have to be cautious because it will also affect triage-supported subcapital fleets. Outside of receiving repairs, with the current stats on local reps there would be no reason to fit one to anything other than a Force Auxiliary or a Dread. With the changes we’ve proposed, everyone would fit buffer because local tanking is simply not an option at present. On subcapital ships, you can local tank pretty decently if you decide not to buffer your ship. With capitals, that just doesn’t scale. So local tanks on capitals need a boost. Ideas for this have been pretty consistent – it’s widely agreed that capital local reps need to be boosted in some way. One proposal would be to double the amount of HP repaired per cycle for local armor and shield boosters, balancing the triage and siege modules in turn to prevent them becoming overpowered. The issue this causes is that it makes capital tanks twice as efficient (in terms of capacitor), so possibly halving the cycle time on local boosters/reps would be the way to go as an alternative. Cap efficiency on tank is a problem in terms of an active tanked capital’s vulnerability to subcapital fleets. What we’re generally going for here, especially with FAX, is that capital level DPS will kill them, and sub capitals will kill capitals by using energy neutralizers. This is something that will be of great importance when we look at cargo capacity and the size of capital capacitor boosters. But that’s a discussion for another day. As a reader, and as a capital pilot, I strongly urge you not to jump to any conclusions at present. As I pointed out earlier, EHP balancing is merely a starting point; a foundation to build upon, and the starting point for defining the new capital battlefield.